Here is my new pattern :) (UPDATE - I have it finished and it is available in my pattern shop tab #2 and Etsy and) I don't have it uploaded on the pattern sites yet but I will hopefully have it all ready to go by the end of next week. I seriously had post-it-notes stuck all over the way of the things that I needed to finish before I left and I only got about five hours of sleep each night, which for me is three to four short. Anyway, I was super excited to share this little bag. It is cute as a backpack or just a purse or whatever bag. Well, I am officially on the plane when this posts. I was able to do a few posts that will hopefully add as I am gone. 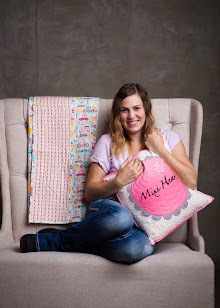 So if you are interested in these patterns please don't forget to check back in a week when they will both be ready. Thanks so much!! 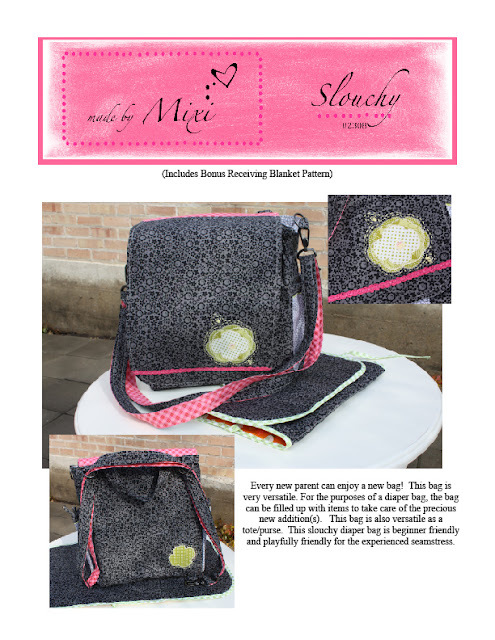 The strap is adjustable and the bag can be worn a couple different ways, even as a messenger bag. Don't my kids look happy... just kidding. It was a little chilly. 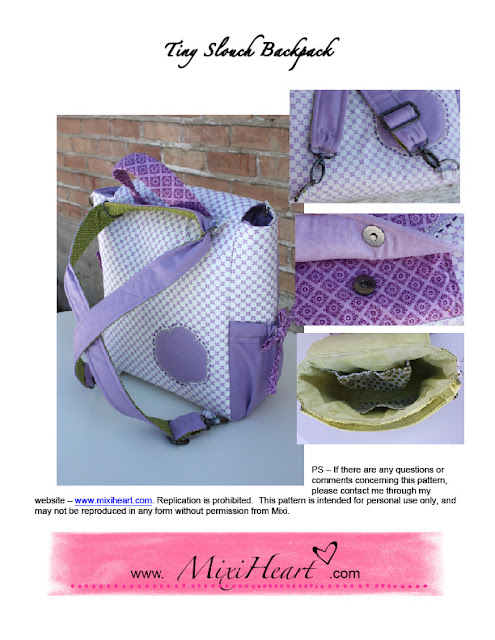 I made a larger version of this bag to function as a diaper bag and entitled it "Slouchy". 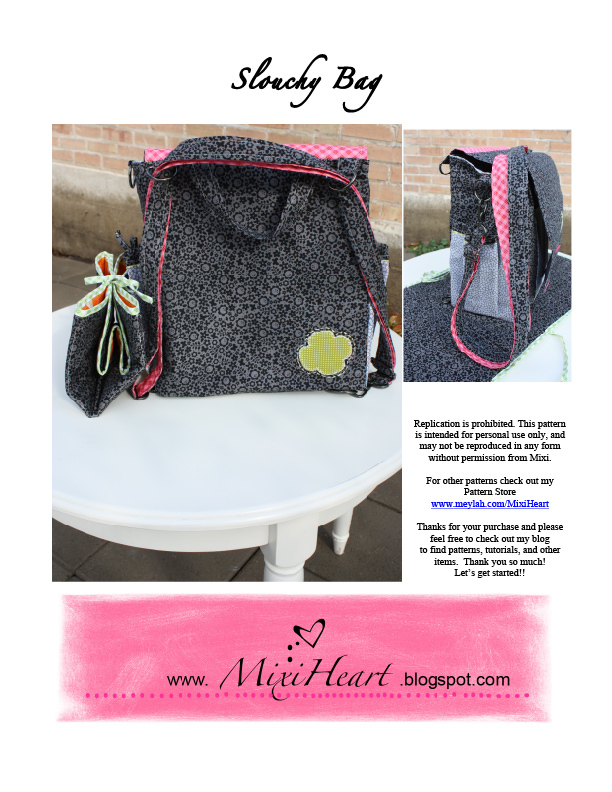 It is a fun upright diaper bag and includes a changing pad pattern as well. Of course you need to have a big version and a small version. Well, this bag has tons of extras and it was inspired by my recent bag I was able to make. I just thought it was fun adding all of the extra hardware. 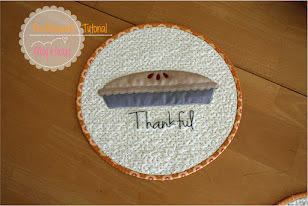 It makes sewing a little exciting. Thanks for looking. I have a quilt to share tomorrow! Such cute stuff and your model is adorable :) I hope your trip is awesome!